G.E. maintains a standard by constantly investing in modern and efficient land transportation equipment. 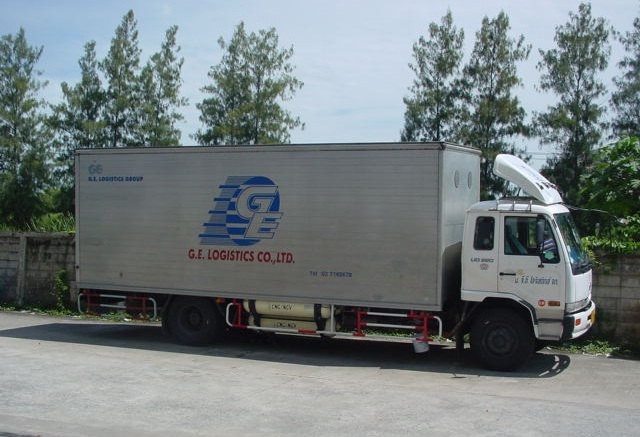 So, whether shipping general cargo, tractors or flat racks or heavy lift items, G.E. has the equipment needed to move your cargo safely and cost effectively. G.E. in association with our special departments we have a domestic transportation department which offers round the clock logistics and distribution through Thailand. Trained are controlled accurately with real-time fleet depot communications and are operated by competent, vehicles drivers who can assist customers with specific delivery and collection requirements.